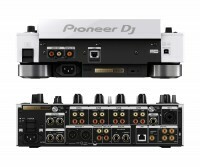 Pioneer Pro DJ CDJ2000NXS2(x2) + DJM900NXS2 LTD EDITION WHITE BUNDLE Main Features <ul> <li>Limited edition WHITE CDJ-2000NXS2 / DJM-900NXS2 bundle</li> <li>Part of a strictly limited run of 1,800 CDJ\'s and 900 DJM\'s made worldwide</li> <li>Each unit features a unique gold engraved serial number on the back</li> <li>Consists of 2x CDJ-2000NXS2 WHITE and 1x DJM-900NXS2 WHITE</li> <li>Perfect for themed occasions like white parties, bars, clubs and summertime marquee events</li> <li>Multiple performance features for almost endless creative possibilities</li> </ul> CDJ2000NXS2(x2) DJM900NX2(x1) LIMITED EDITION WHITE BUNDLE CDJ2000NXS2 LIMITED EDITION WHITE Multi-Format USB DJ Controller The CDJ-2000NXS2 inherits all the best features from its predecessor – the CDJ-2000NXS – and takes a giant leap forward. Pioneer DJ have added a larger, multicolour touch screen with a Qwerty keyboard and search filters to help you select tracks faster. 2 banks of 4 Hot Cues give you more creative freedom, while a 96 kHz/24-bit sound card and support for FLAC/Apple Lossless Audio (ALAC) means you can play with higher resolution formats. 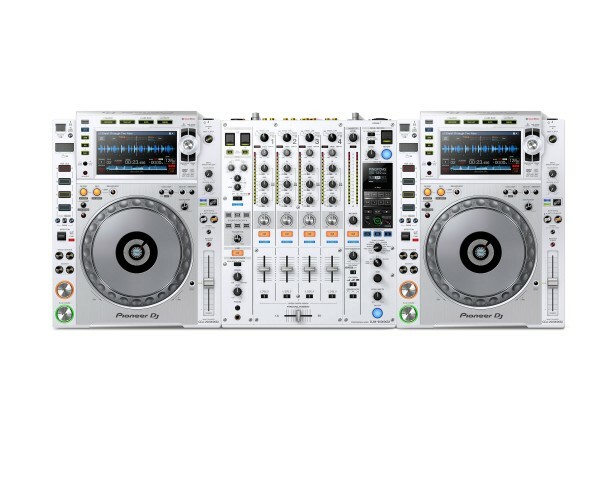 DJM900NXS2 LIMITED EDITION WHITE 4Ch Pro DJ/Club Mixer Take your performance to new heights with the DJM-900NXS2, which features Pioneer DJ\'s first ever 64-bit mixing processor for a warmer, more nuanced sound. We’ve fine-tuned the EQ and fader curves and enhanced the FX controls to give you even more creative choice. Plus the versatile DJM-900NXS2 has an independent Send/Return, 4 phono inputs and 2 USB ports – giving you flexibility to set it up your way. 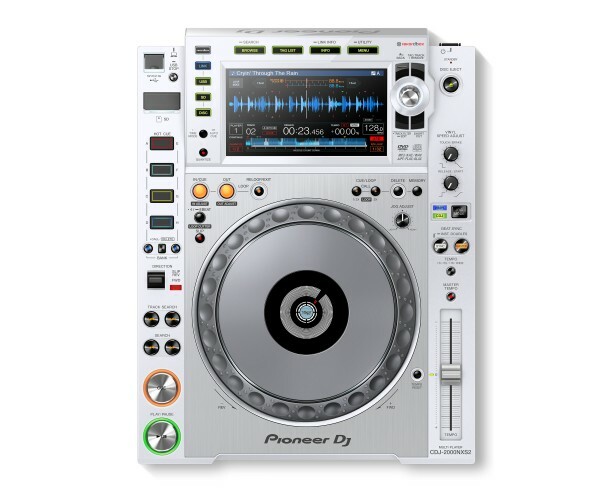 CDJ2000NXS2(x2) DJM900NX2(x1) LIMITED EDITION WHITE BUNDLE CDJ2000NXS2 LIMITED EDITION WHITE Multi-Format USB DJ Controller The CDJ-2000NXS2 inherits all the best features from its predecessor – the CDJ-2000NXS – and takes a giant leap forward. Pioneer DJ have added a larger, multicolour touch screen with a Qwerty keyboard and search filters to help you select tracks faster. 2 banks of 4 Hot Cues give you more creative freedom, while a 96 kHz/24-bit sound card and support for FLAC/Apple Lossless Audio (ALAC) means you can play with higher resolution formats. 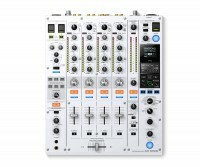 DJM900NXS2 LIMITED EDITION WHITE 4Ch Pro DJ/Club Mixer Take your performance to new heights with the DJM-900NXS2, which features Pioneer DJ's first ever 64-bit mixing processor for a warmer, more nuanced sound. We’ve fine-tuned the EQ and fader curves and enhanced the FX controls to give you even more creative choice. Plus the versatile DJM-900NXS2 has an independent Send/Return, 4 phono inputs and 2 USB ports – giving you flexibility to set it up your way.